The latest entry to GUST's popular Atelier franchise continues from Atelier Sophie: The Alchemist and the Mysterious Book and Atelier Firis: The Alchemist and the Mysterious Journey, concluding the Mysterious series with an all-new heart-warming narrative. The gripping conclusion to the Mysterious series marks the 20th Anniversary for the Atelier franchise, following the tale of the alchemist twins; the reserved but caring Lydie Marlen, and the eccentric and carefree Suelle Marlen. The young twins work alongside their father at the family atelier, but due to his inexperience in alchemy they rarely see any customers. 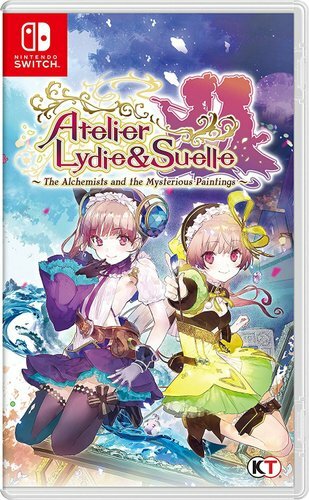 Whilst working hard to hone their skills, the duo uncovers a mysterious looking painting, and as they reach out to investigate the girls are drawn inside a world bountiful with rare materials… perfect for Alchemy! This fateful discovery is just the beginning of the twin's adventure leading them to their joint goal… to run the best atelier in the country.